If you've got a modern ARM chip devboard you'll notice that it has one of those tiny 2x5 connectors on it. Those are SWD ports, and they're used when you need to program or debug an ARM chip like those on the Particle boards. The Particle Debugger gives you the power of professional debugging at a fraction of the cost. 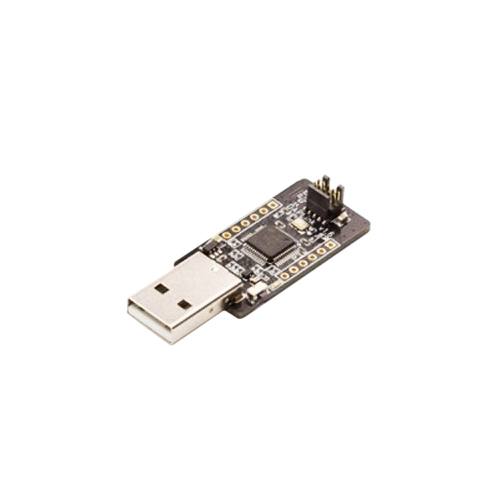 Using this accessory, you’ll be able to program Particle mesh-ready hardware over common interfaces like JTAG and SWD, using open source tools like GDB. 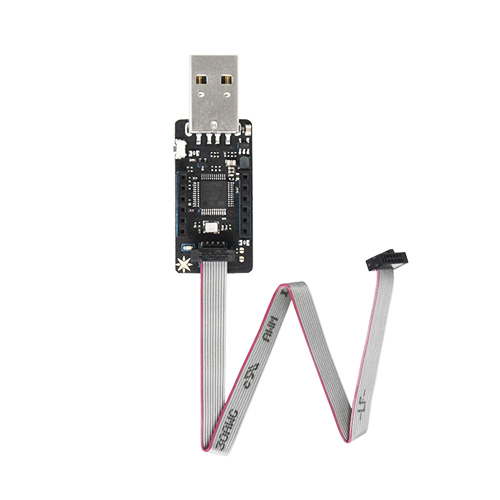 Not only do you get the classic 2x5 cable but also socket headers for power, data, and even a bonus UART connection. Supports the open source CMSIS-DAP specification and DAPLink firmware developed by ARM. Header Female 2.54mm 15 Pin (10 Pack) Single row of 15-holes, female header. Can be cut to size with a pair of wire-cutters. Standard 2.54mm spacing. We use them extensively in our designs. They mate..
ST-LINK V2(Mini) Mini ST-LINK/V2 on a small single board, an extreme low cost solution for in-circuit debugger/programmer for STM8 and STM32. Quick Specs Onboard 500mA self-recovery fuse ..